Auerbach has been making more records, albeit for other people. When we drive back to the studio after eating our tacos, Greg Cartwright waves us into the parking lot. Although he claims to be the parking attendant, he’s actually the frontman of The Oblivions. His more recent projects include Reigning Sound and The Parting Gifts, whose 2010 debut album featured a guest appearance by Auerbach. Cartwright waves to us, wraps up a quick smoke break and heads back inside to work on new material. There are other artists on the studio schedule, too. Auerbach hasn’t started prepping for next week’s session with Dr. John, but he doesn’t seem concerned. “If you surround yourself with people who’re as talented as Dr. John – people with amazing taste who can play their instruments really well – you feel like it’ll sorta take care of itself,” he justifies. Growlers, a self-described “beach goth” group from Costa Mesa, have booked some time in the studio, too, and Memphis-based songwriter Valerie June needs to come back and wrap up the album she started earlier this year. Other projects have already been completed, like the new Hacienda record that Auerbach helped write and record, but that doesn’t mean he’s stopped talking about them. “Those guys are great!” he says, turning up one of their new songs and playing air piano. Like all good producers, he’s obviously a fan of his clients. The first Hacienda song ends and another one begins, this one sounding a bit more like the swaggering soul music that filled Brothers. I ask Auerbach if that’s intentional. He shakes his head empathetically. Back at the Carney household, Pat plays a few of the new Tennis songs and ignores the phone calls that make his cell vibrate across the table. If the callers don’t hang up, they’ll get to hear his voicemail greeting, which is a snippet of Dan Auerbach saying “Leave-me-a-mess-age” through the talkbox guitar. It sounds like a robotic Peter Frampton, and it’s one of several signs that the guys are trying to keep things lighthearted. After all, El Camino will be released to the band’s largest audience to date, and the pressure’s on whether they like it or not. Right now, though, Auerbach and Carney are enjoying a little distance from El Camino. They love the songs but can’t listen to them without hearing the process, the month and a half of work that went into the album. While recording Brothers at Muscle Shoals, the guys didn’t even have a fully functioning playback system to hear what they were doing, so listening to the final mixes was like hearing the songs for the first time. El Camino was different. 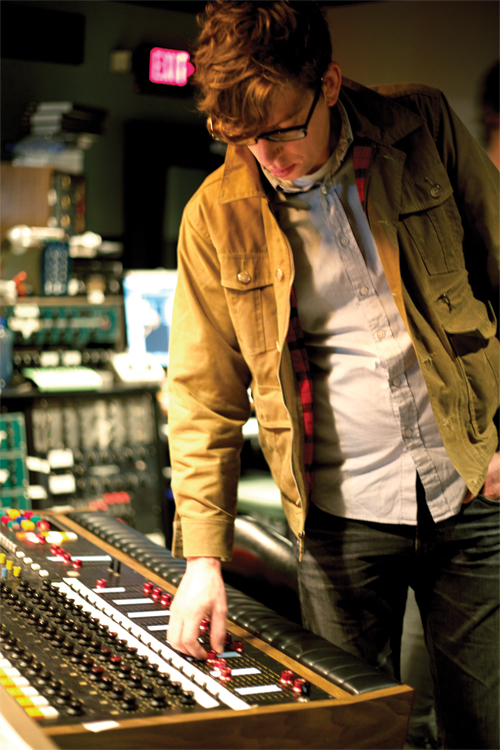 The Black Keys lived inside this music for six weeks and hung out during the mixing process, too, making it their longest, most involved project to date. The same can be said for El Camino, the record that will either continue The Black Keys’ upward trajectory or send them back to the rock and roll underground. Either way, it’ll be a document of the busiest time in the band’s career.